A chef so complete that teaches what to cook, how to cook and how to carry what you've cooked! 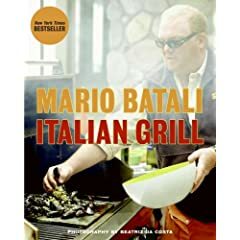 Mario Batali is a superstar chef, television personality, and author of the New York Times bestseller Italian Grill and Molto Italiano, winner of a James Beard Award. He lives in New York City, where he is the chef and owner of eight popular restaurants, including two Spanish joints, Casa Mono and Bar JamÓn. Copyright © 2000 by Mario Batali. All rights res. Bring 6 quarts of water to a boil and add 2 tablespoons kosher salt. In a 14- to 16-inch fry pan, heat the oil over medium heat till smoking. Add the garlic and cook until light golden brown, 2 to 3 minutes. Add half of the bread crumbs, the walnuts, and pepper flakes and cook until lightly toasted, 3 to 4 minutes. Remove from the heat and set aside. Drop the pasta into the boiling water and cook according to the package instructions until 1 minute short of al dente. Just before draining the pasta, add 1/4 cup of the pasta cooking water to the pan with the walnut mixture. Drain the pasta in a colander and pour the pasta into the pan with the walnut mixture. Place the pan over medium heat and continue cooking the pasta with the walnut mixture until the pasta is lightly dressed with the condiment, about 1 minute. Add the parsley and grated cheese, stir through, pour into a heated bowl, sprinkle with the remaining bread crumbs, and serve immediately. Sure to be a help to cooks of all skill levels, Mario Batali cookware, kitchen tools and bakeware include new features that modernize traditional cooking tools. Mario Batali's 9-qt. braiser has a large oval shape which is perfect for roasting or braising whole chickens and roasts. The lid is designed to naturally self-baste food as it cooks, and the braiser is safe for gas, electric and ceramic stovetops, and is oven safe to 500°F. Through his restaurants, cookbooks, products and television shows, Mario Batali breathes the spirit of the Old World into modern day America and shows us how to revel in the inherent joys of daily life. Copco, a leading manufacturer of kitchenware products, has joined forces with award-winning chef Mario Batali to create The Italian Kitchen, a unique line of kitchen tools and serveware. The elegant and functional assortment draws on the best of Copco's design and manufacturing experience and Mario's cooking expertise. The result - a perfect blend of classic quality and contemporary function - addresses the needs of all consumers, from kitchen novices to experienced cooks. These are the tools that Mario wants in his kitchen. You'll want them in your kitchen too. Get $15 Off $100 shipments at Cooking.com! Use coupon code C88966 Click here! 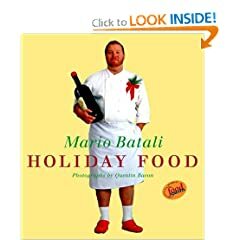 Easy to use and simple to read, some of these recipes will be those "as seen" on TV in the eight years of "Molto Mario" programs on the Food Network, including those from "Mediterranean Mario," "Mario Eats Italy," and the all–new "Ciao America with Mario Batali." 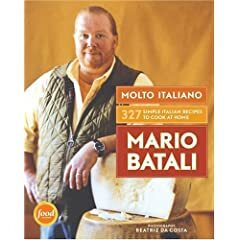 Batali's distinctive voice will provide a historical and cultural perspective with a humorous bent to demystify even the more elaborate dishes as well as showing ways to shorten or simplify everything from the purchasing of good ingredients to pre–production and countdown schedules of holiday meals. Informative head notes will include bits about the provenance of the recipes and the odd historical fact. From Mario Batali, superstar chef and author of Molto Italiano, comes the ultimate handbook on Italian grilling, which will become an instant must-have cookbook for home grillers. Easy to use and filled with simple recipes, Mario Batali's new grilling handbook takes the mystery out of making tasty, simple, smoky Italian food. In addition to the eighty recipes and the sixty full-color photographs, Italian Grill includes helpful information on different heat-source options, grilling techniques, and essential equipment. As in Molto Italiano, Batali's distinctive voice provides a historical and cultural perspective as well. One of the most coveted reservations to have in New York City is at Babbo, Mario Batali's flagship restaurant in Greenwich Village. 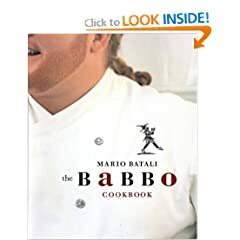 In The Babbo Cookbook, Batali (author of Mario Batali Simple Italian Food and Mario Batali Holiday Food) takes readers behind the scenes of his popular restaurant--from the kitchen to the front of house--sharing 150 recipes for his innovative Italian fare and offering tips on menu selection, service, and presentation. Along the way, Batali expertly captures the intimate buzz, the warm hospitality, and the generous attention to detail that makes Babbo a singular dining experience.